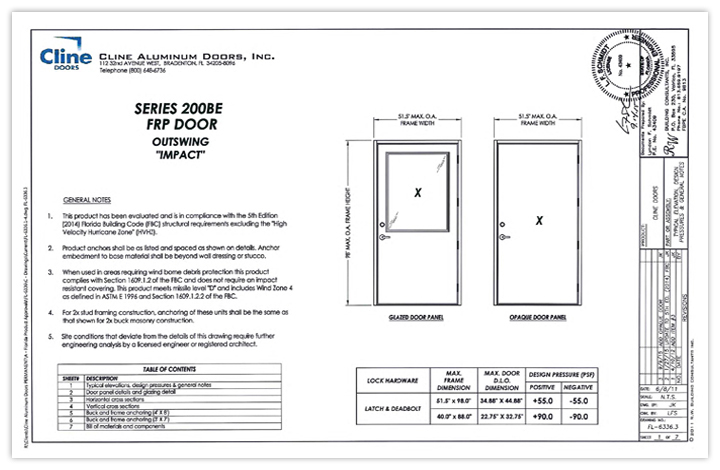 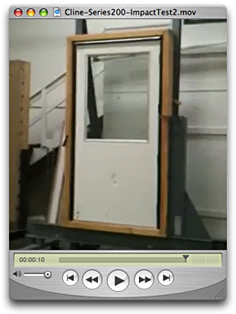 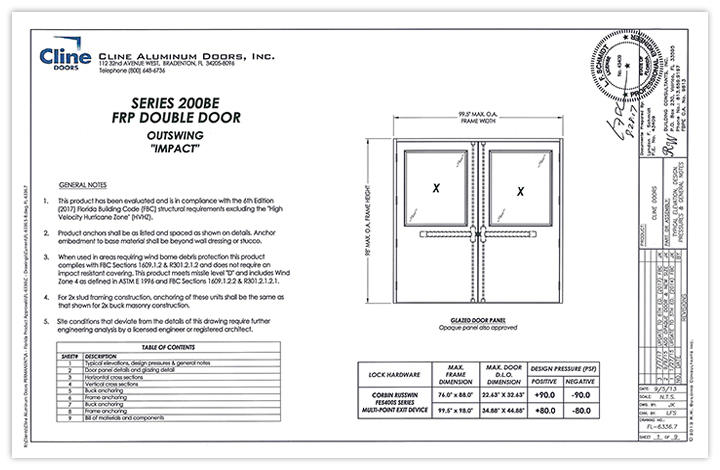 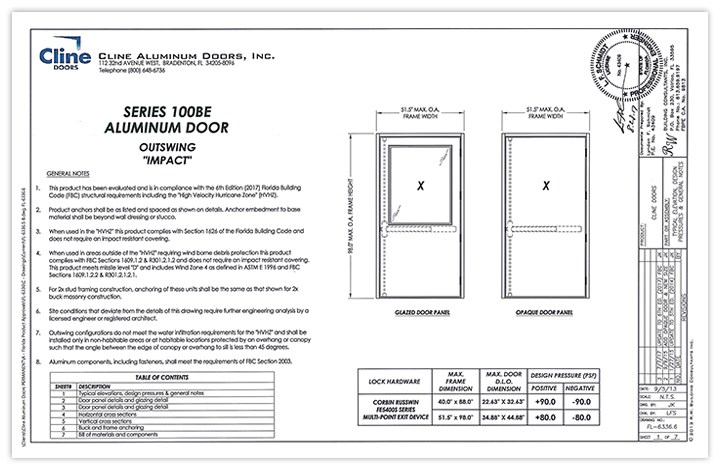 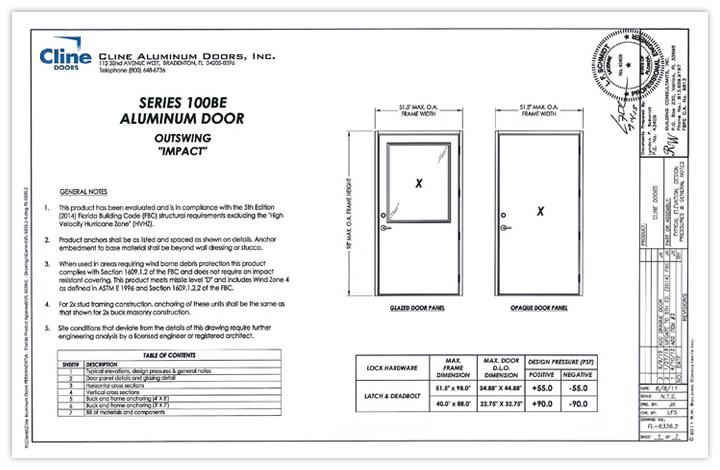 The documents below contain the latest impact test results for our Series 100BE Aluminum Flush Doors and Series 200BE FRP Flush Doors. 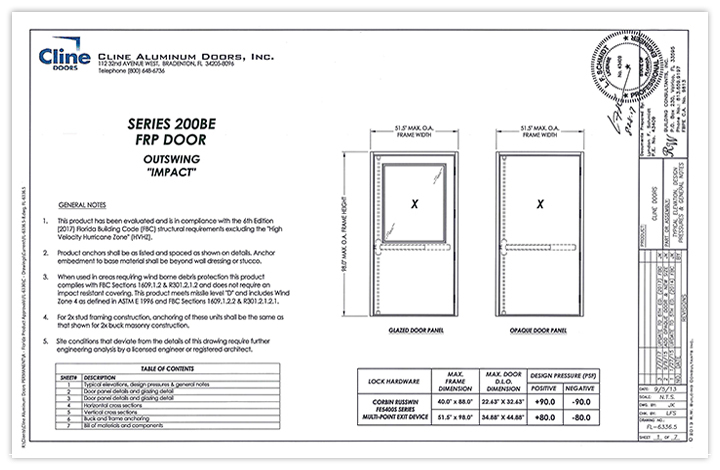 Click each document graphic to view a PDF of the complete report for each series. 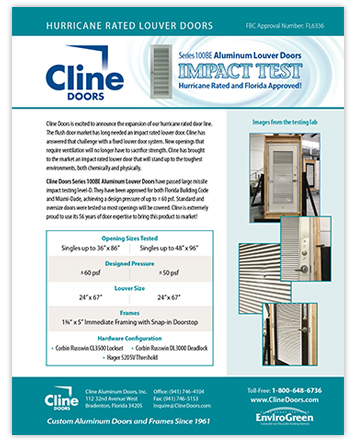 Click the document titles below to review the current data from our Series 100BE and Series 200BE impact testing. Hurricane Rated and Florida Approved! 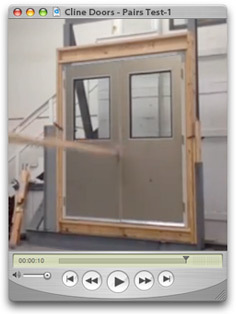 Below are some quick video segments we captured while onsite for previous impact, water and pressure testing and evaluations.